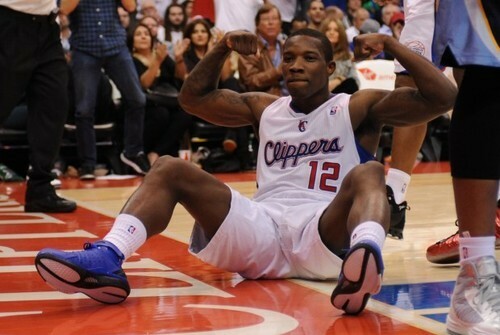 Clippers send explosive young guard Eric Bledsoe to Phoenix as part of a 3-team deal involving the Milwaukee Bucks. All teams fared pretty well in this deal. The Suns receive Bledsoe and Caron Butler, Jared Dudley and J.J. Redick were sent to the Clippers, and the Bucks received two second-round picks. For Milwaukee’s side, they were going to lose Redick via free agency regardless, so getting a couple of second rounders is fine compensation. The Suns now get to pair Bledsoe with Goran Dragic in the backcourt and make for a pretty intriguing duo there without having to give up a whole lot. But it remains to be seen what they do with second-year guard Kendall Marshall. Perhaps a potential trade in mind along with Marcin Gortat for the Suns? And as for the Clippers, they’re trying to surround Chris Paul with viable shooters along the perimeter so he can drive-and-kick with these additions alongside Jamal Crawford. I wouldn’t be surprised to see the Clippers make another move or two in order to add some more help for CP3. I doubt it’ll be anything major, but DeAndre Jordan could still be shipped out seeing as he was in several trade rumors just a week ago.